We can understand when the skin is oily, then there can be lots of problems in keeping it cleaner and free from the problems. What are the ways that can keep oily skin healthy? There are several ways out of which one can be sure of the products that can control the oils. Yes, when you control the oils then half the battle in making the skin oil-free is won. 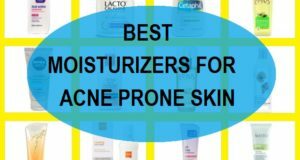 There are products which are made especially for the oily skin. In such products, ingredients and technology used are oil skin friendly. Such skin care products dedicated to oily skin can be face wash, cleanser, packs masks, creams, soaps etc. Other than the application of these items, you should also try to keep the skin clean by following some simple tips like not touching skin with dirty hands, using oil free products, applying clarifying mud masks once in a week and most importantly, removing all the sebum, oils and dirt traces from the face at night. Doing these stuff can make the chances high that the oily or acne prone skin stays free of the pimples and acne and also glows with radiance. Here is the ultimate list of the best selling products that can give oil control benefits. They are varied products from different categories like face wash, face packs, oil controlling cream etc. 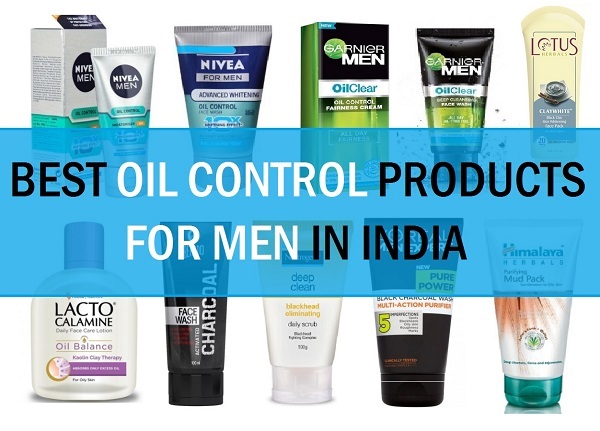 So, let’s check out which are the best oil control products for men at the moment available in Indian market. 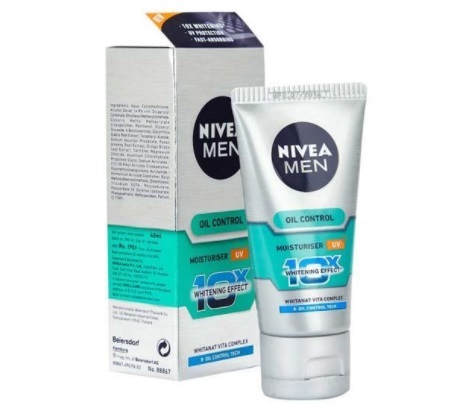 Nivea Men Dark Spot Reduction Face Wash can be termed as one of the best products for men that not only control the oils and sebum from the face. But it also helps in skin brightening. The face wash is a thick face cleanser that gives adequate lathers which are foaming in nature. Those foaming lathers are helpful in removing those stubborn and deep seated impurities like the sebum, dirt, dust and pollutants. These can ruin the skin’s texture and tone in the long term. Therefore, a facial cleanser that can wash these stuff is really important. Besides the oil-control feature this aids in the reduction of the appearance of dark spots and blemishes on the men’s skin. Controls oils up to 12 hours which may not be true but yes, gives at least 5-6 hours of oil control. 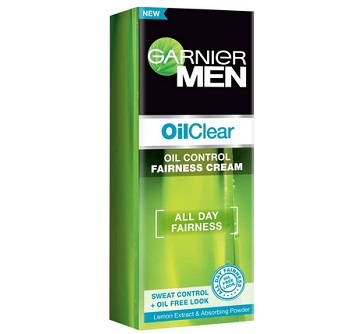 Garnier Men Oil Clear Fairness Cream has Sweat Control for Oil Free Look. We recently tried it and love the way this cream fares. We mean on the oil control department. So, What this cream does? Actually. This Garnier cream for men is a fairness cream with oil control benefits. 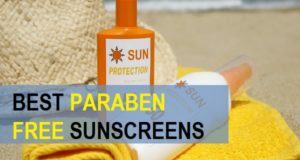 Therefore, men with oily skin who are on a constant look out for a good skin cream that should make their complexion bright and fair but without the oiliness and greasy feeling. So, for those men this is the cream. Additionally, this cream has sweat control feature too and the price as well is very affordable. 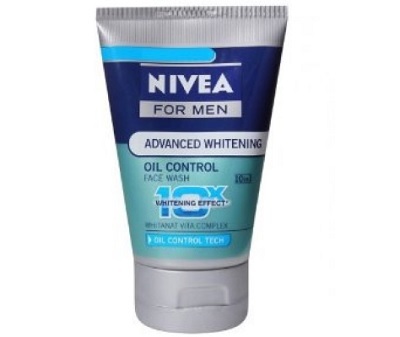 This makes this cream one of the best sellers for fairness screams for oily skinned boys. Oil control feature makes skin oil free for some time though do not expect the 10-12 hour protection as that is not true. 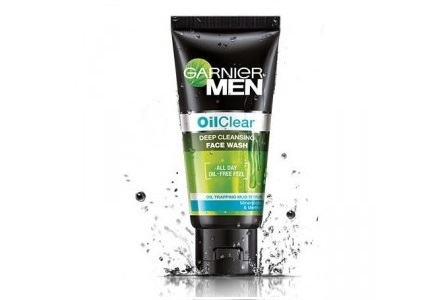 Now, after the inclusion of the oil free fairness cream, it’s time for the oil clear face wash. Garnier oil clear face wash is one of the most favorite products for many men. Even the Garnier Match D-Tox is worth trying. 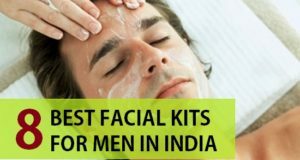 The gel like facial cleanser is highly lathering and clear out the impurities on the facial skin and most importantly, the dirt that men’s skin gather up throughout the long tiring day. Do you know when you do not remove the dust and dirt well from the skin, then your oil skin can get blemished with blackheads, pimples anytime. Hence, using suitable facial cleanser becomes a MUST thing for us. This face wash can be used with the Garnier Men Powerlight Oil Control Moisturiser or The Oil Control fairness cream that we had listed above. 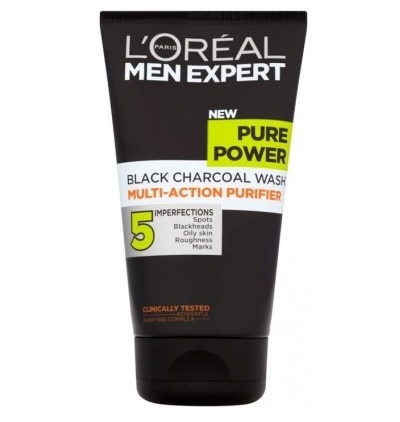 This product from L’Oreal Paris is from their men skin care range. 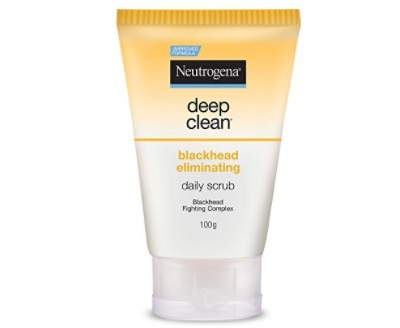 This is a face wash that has white Active and charcoal that keeps the skin oil free by eradicating the sebum and oils from the face. The facial cleanser also contains one for the most effective ingredients called salicylic acid that is used a lot in acne prone skin face wash. Yes, this ingredient that makes your skin clear by cleansing the skin efficiently and leaving it sebum and oil-free. The texture is fine with minute bubbles and also acts like a magnet that attracts all the impurities deep embedded in the skin pores to make the skin clear. 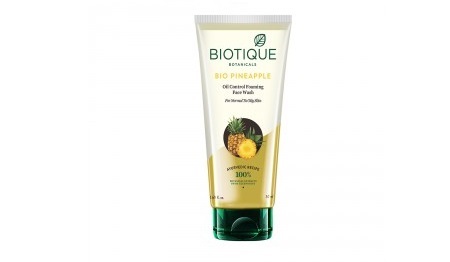 Biotique Bio Pineapple Oil Control Foaming Face Cleanser is designed keeping in mind the struggles of Normal to Oily Skin Yes, oily skin struggles to be clear and free from beak outs and skin problems. This is why this face wash has been made using the extracts for pineapple which is loaded with Vitamin C and vitamin A. Besides that it also holds the neem leaves and euphorbia plant extracts which are again high on anti bacterial and anti-septic properties. So, when a clear is rich in such elements that it is bound to give you glowing pimple free skin. 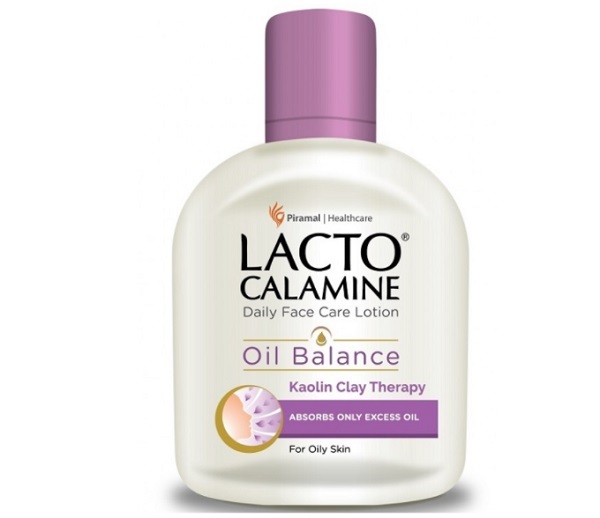 Lacto Calamine Skin Balance Daily Nourishing Lotion is made for the people with oily skin. The product can be used by boys and girls with oily skin. The thick lotion has zinc and calamine which in spite of making it thick, controls the oils. The product is safe for the oily skin. It is a best rated product for oily face and combination skin. Calamine lotion like this also protects the skin from environmental stress and damage from the pollutants. It contains Kaolin clay which absorbs the oils and sebum. Zinc oxide prevents the break outs while glycerin nourishes the skin. 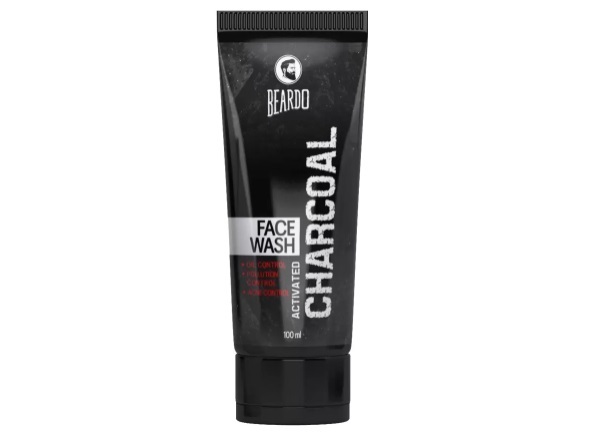 Beardo Activated Charcoal Acne Oil and Pollution Control Face Wash as the name suggest controls the oils with its active charcoal complex. This brand is a very versatile and men only brand. After all, a Men only brand that makes multiple products for men’s grooming and hygiene. The charcoal loaded face wash targets the deep seated dirt and impurities. It dislodges them and maintains clear skin. 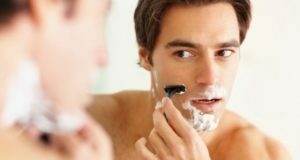 Men who stay a lot out doors may be for work purpose or for the sports etc should try facial cleansers that can cleanse thoroughly. Else removing the impurities can give break out and also blemishes. 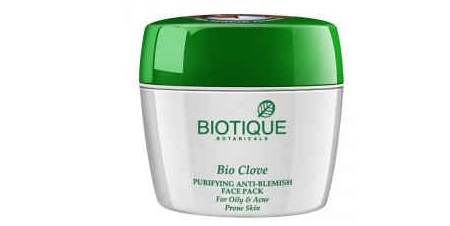 Biotique Bio Clove Purifying Anti-Blemish Face Pack is a purifying face pack that is made exclusively for the oily and acne prone skin by including the clove and wild turmeric. The potent combination of clove or laung with turmeric can be high in anti-oxidant and anti-bacterial properties so, while the pack is used on the face, it ensures to kill all those bacteria accountable for pimples and pus filled acne. The Ayurveda inspired skin care product for acne prone skin is affordable and works in maintaining smooth and vibrant complexion. Face packs are important to keep the oily skin free of oils especially when the packs include ingredients like clay, mud etc. 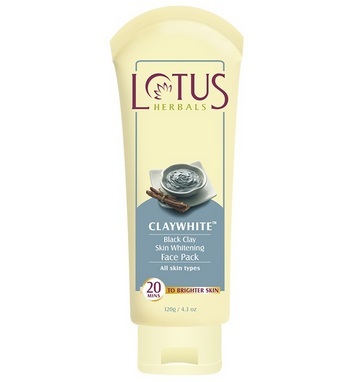 This Lotus Herbals Claywhite Black Clay Skin Whitening Face Pack can give two benefits for the skin. One is that the product has whitening qualities that helps to whiten the skin second is that it has back clay that efficiently pinches out the traces of oils from the skin. This results in an oil free skin other than curing the acne. Regular use can also show outcome in the form of skin tightening and shrinkage of open pores. Black clay is rich in minerals and silica. 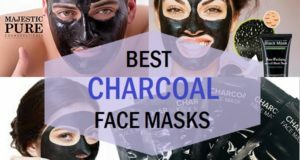 It also helps brightening of facial complexion. Rich in bearberry extracts which are rich in arbutin for skin whitening and liquorice extract help lighten facial complexion. 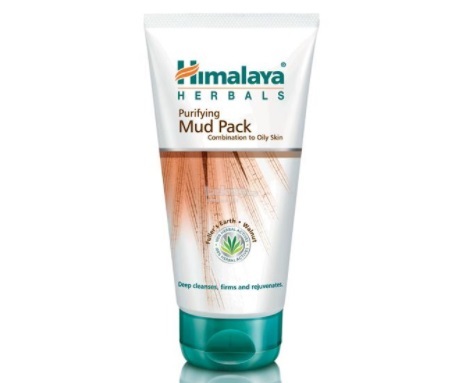 Himalaya Herbals Oil Clear Mud Pack has the benefits of fuller’s earth that is extremely oil absorbing in nature. It is made with the mud that gives oil-free look. It is rich in the walnut extracts that eliminates the deep seated dead skin cells and blackheads. Just like that, oil control product also improves the skin one. 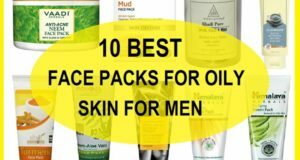 These were the best oil control products for men in India that can make the skin pure and blemish free.